Kerala - again, but why? There is a reason Kerala is known as God's own country. A land bestowed with the true bliss of nature - be it mountains, or forests or ocean - Kerala has it all. So when the days get dreary and living is a treachery, to provide the balm of nature's bounty to soothe our aching nerves we invariably end up heading towards Kerala. 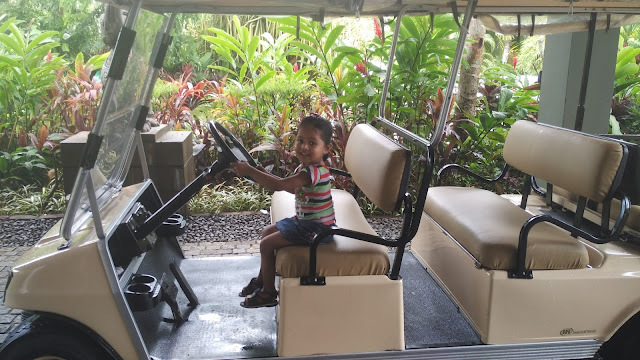 A long weekend, a fantastic monsoon package from Taj Kovalam and cheap flights, the concoction of these travel enablers could not have been more serendipitous. I love to surprise my wife. And what is a better way to surprise your travel bug bitten beloved than planning an impromptu trip to Kovalam! I did exactly that and our love for this state blessed by God was re-affirmed with our 2-night escapade nestled in the lush greens of Taj Kovalam, and our experience was as rejuvenating as our last stay in Taj Kumarakom. Both resorts take pride in having amazingly beautiful property. Kovalam offers the most pristine of the beaches India has to offer, very popular amongst travelers worldwide. Shallow waters and low tidal waves make it an ideal beach destination. Though when we visited, owing to monsoon, the waves did seem ferocious enough to stop everyone, but only the most daunting, to venture closer to experience the might of the rumble of the waves. We chose to enjoy the scenery from a little distance with our toddler. Trivandrum or Thiruvananthapuram is the nearest airport city to Kovalam. It is about 17 kilometers away from the airport and well connected with taxi, rickshaw, buses, etc. Trivandrum is the capital city of the state of Kerala. It has excellent travel options - air/train/bus to major Indian cities, suiting all budgets and fancy. We flew here from Bangalore in an evening flight. A short hour after we landed in the small airport and quickly exited the same to perch on our pre-paid taxi we took from the airport to the resort. The pre-paid taxi costed us INR 500. 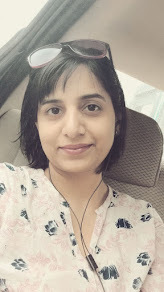 I had plans to book Ola or Uber, but given that nearest cab was 25 minutes away, I chose to take the pre-paid as it was getting late and our kiddo was getting restless with the humidity. It was a short half an hour ride to the resort. Once we reached, we were welcomed by the staff with very cool stone garlands/necklaces and the Kerala must-have fresh coconut water. With check-in formalities being completed in jiffy, we were off on our way to our sea-facing room in a villament. Taj Kovalam property is close to beach with sumptuous tropical greenery all in and around the rooms. We had already eaten at the airport and being tired went to sleep for an early start in the bliss. Our room was in an excellent location - we had Jacuzzi pools bang adjacent to our room. Being a water loving family that was our natural hangout option and we all thoroughly enjoyed our time in the temperature maintained Jacuzzi pool. Apart from usual activities, Taj Kovalam offers Yoga in the morning to its guests. Roohi went on to try the same and loved the session led by a yoga veteran with over 10 years of experience while I took our kiddo for our breakfast. For families with kids, Taj offers lot of Kids Activities program like art & crafts classes, Movie for kids, Indoor games like Carrom. All these and many more activities are complimentary. And then there is the infinity pool with a fantastic view of the majestic sealine accompanied by the flank of coconut trees as if they were on guard. And the cabanas offer much required respite from the sun where you can relax, read a book while sipping your favorite drink. Another highlight of staying in Taj is the evening cultural program. We had loved the dance performances in our Taj Kumarakom stay and were looking forward to the evening. We were not let down by some beautiful compositions on flute accompanied by ever green Tabla. Mesmerizing music, accompanied by a lovely wife, your bundle of energy kiddo - and sumptuously deliciously food - I could not have asked for a better culmination of our day. I must add a commendation for the wonderful staff @ Taj. They took exceptional care of us. One of them even became such a good friend of our daughter that she wanted "Chayanika auntie" to not to leave her while we were having dinner. Taj offers quite a vivid spread of continental and Indian delicacies from pan-India. Fruits, breads, fresh juices, live dosa, egg-preparations - you would not miss anything while experiencing the culinary delight in the restaurant. We had leisurely lunch at the Jasmine Bay from the ala-carte menu and loved everything. In the afternoon, we thought of visiting the beach area - but just then it started raining in true Kerala style. So instead, we idled in the room and enjoyed mocktails and then returned to the room. The breakfast spread is quite good with all glories galore including a live dosa counters. The coconut chutney we had here was worth dying for it was so yummy! After a quick nap, it was time for the complimentary tea and visit to the beach/lagoon. This is across the road and Taj ferries its guests in buggies to the place which includes a lagoon, banquet hall, the seafood restaurant Bait and the beachside walkways. It was too early for dinner and we soaked ourselves in the beauty of the power of nature where wave after wave was ravishing the sea-shore. The phosphorescence in the skies, the vivid hues painted by nature against a blackish, bluish, whitish canvas of open skies, the roar of the waves hitting one after another against the ocean front displaying the might of the seas created an atmosphere one can only dream about. Taj Kovalam offers complimentary boat ride in the lagoon, and we took the short 20 minute journey leisurly. Reminded us of the rhyme our baby loves - "Row, row, row your boat, gently down the stream, Merrily, merrily, merrily, life is but a dream." Afterwards we spent the evening soaking ourselves in the visual delight of the scenery accentuated by the colors of the dusk. It was getting dark and we headed back to the room after capturing some fantastic shots of the place. With the day well spent resting, we were ready for some exploration and we planned our next day. It is interesting that we knew there was a temple tour having gone through the standard itineraries - but we had no plans to visit one, as we find temple-hopping with kid quite a labourious task to undertake during a leisurely holiday. But as they say, there is always a calling - and when we read that Sri Padmanabhaswamy temple in Trivandrum is the richest every religious shrine in the world (in fact, in terms of gold and precious stones, it is by far the wealthiest institution and place of worship of any kind in the recorded history of the world - source Wikipedia) - our curiosity piqued. We decided to undertake this small pilgrimage next day. Next day after breakfast, we took an auto (we find exploring a city in auto is very educating as you can see all around you) to the temple. We were told that temple had strict timings - and managed to reach just in time to have a quick darshan. Photography inside the premises is not allowed, we loved the architecture, cleanliness and majestic appearance of the template structure and premises. While returning back to the hotel, we took a little detour to the Kovalam beach. Given the waters were rough, we did not venture into the sea and contended ourselves being camera-trigger happy. After having lunch upon return we rested for a bit. After taking few beautiful pictures, it was time to head back to the hotel for packing and return journey. All good things come to an end. With our souls rejuvenated by the touch of nature's love, we were ready to return back to the hustle-bustle of daily grind of life. Knowing it won't be long, when we will long again to be back, we checked out. 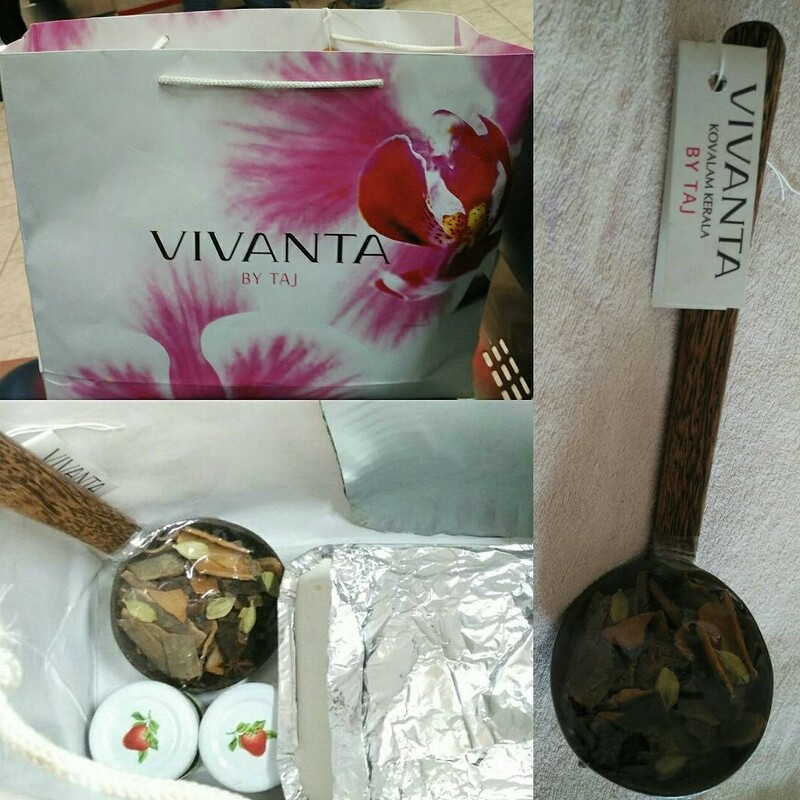 At the time - and Taj staff gifted us this beautiful memorabilia, a reminiscence of Kerala spices. I had booked an Ola cab for my pick up from the hotel and it was a wise decision though I was skeptical if it will turn up. It indeed did - and was at least 50% cheaper than other taxi guys were quoting for the ride back to the airport. Interestingly, our driver told us to not to tell anyone that we were riding Ola, if other drivers ask at Airport - as apparently the local taxi guys have issues with these cool taxi services making a dent into their so far unchecked business. Follow us on Twitter and Instagram for our regular tweets and pictures.